Offering you a complete choice of products which include wire cutting machine. We are offering Wire Cutting Machine. 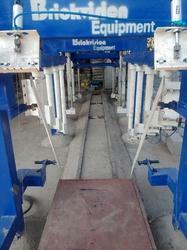 This machine is used for lightweight block making machine, Advance systems, Pneumatic systems.